4G revolution is spreading at an enormous speed. It’s been a while when one needed a desktop or a cable connection to access the virtual world. Mobile devices are coupled with fourth-generation connectivity wireless standards to vroom our lives in a big way and who better dominates the axiom than iPhones. It is one device whose successive avatars are sweeping the market share from competitors, including some of the biggest names in the industry. Today, Apple’s iPhone enjoys the greatest market share spread across the global demographics for technological innovation, user-operability and designing supremacy. OdiTek Solutions has a team of vastly experienced iPhone app developers who possess a depth of technical knowledge and delivery excellence. We have worked for clients across industries and geographies, and we know transforming business product ideas into development needs leading to the final product. OdiTek is one of the top iPhone app development companies in India. The process to create iPhone applications is a complicated one but becomes a simplified task with our iPhone apps developers use their finesse, knowledge, and experience. So, even if we see successive Avatars of iPhone being launched for the techno buffs, we build our skills accordingly and never let our client’s concepts go un-materialized. 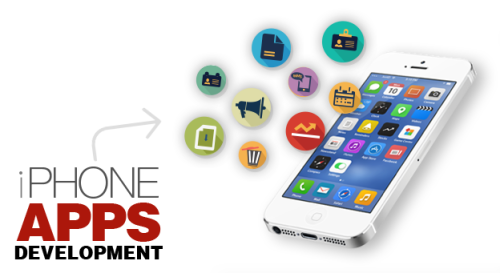 Our iPhone app developers have very good experience and knowledge on iPhone application development using iPhone and iPhone-supported technologies. We have good command on and all the inbuilt features including accelerometers, location service, and Multi-Touch interface.